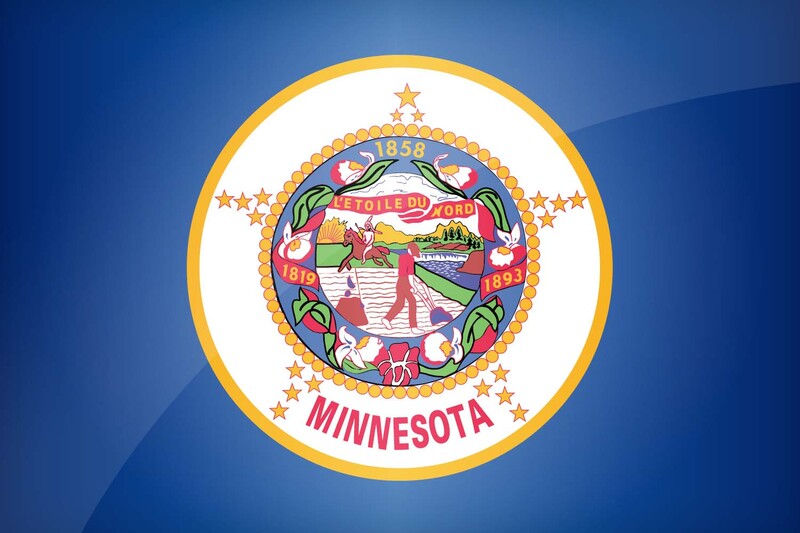 As we mentioned in the article, Los Osuna’s Dream Maker, Minnesota has the unique distinction of being the only state to have two blue agave spirits from outside Tequila’s and Mezcal’s Denominations of Origin based within its borders. 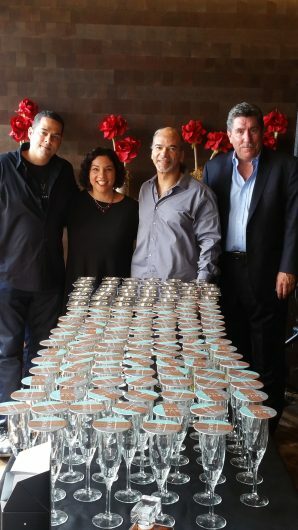 One of the highlights of Tequila Aficionado’s Heartland Tour was an exclusive tasting of Revel Avila Blue Agave Spirit at the fashionable and trendy 6 Smith Restaurant. 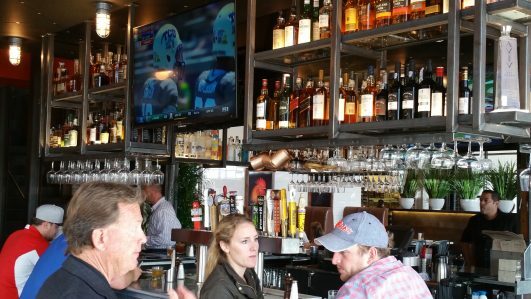 It’s a bold, fresh and modern artisan inspired restaurant situated on the shores of Lake Minnetonka (Yes, THAT Lake Minnetonka!) in the city of Wayzeta. 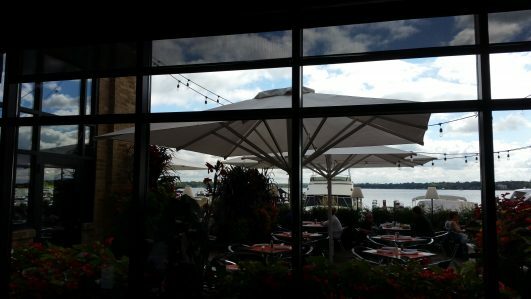 A private room was reserved for the event with a lovely view of 6 Smith’s outdoor patio which overlooked the lake’s marina. On this gorgeous late summer afternoon, we would be hosting many friends of the brand, as well as various VIPs. 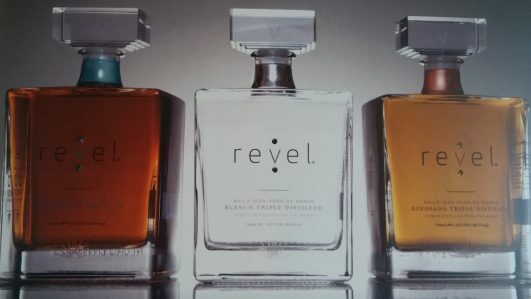 Arranged by Revel’s COO Jacqui Thompson, we were joined by her brother Justin Thompson, Senior Vice President and National Sales Manager, Larry Fioretti, Director of Finance James O’Neill, and several members of Team Revel Spirits. 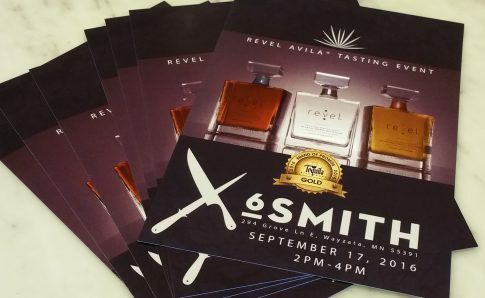 First impressions were important since this event would also celebrate the unveiling of Revel Avila Spirits’ handsome new look. 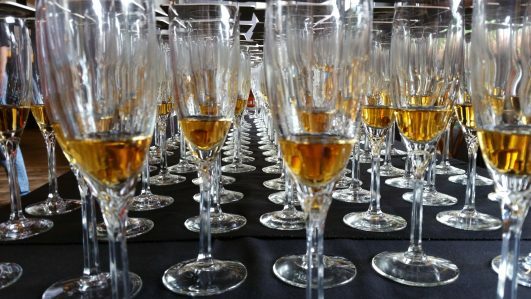 Champagne flutes were carefully filled with modest pours of Revel’s triple distilled blanco, American oak aged reposado, and French oak rested añejo. 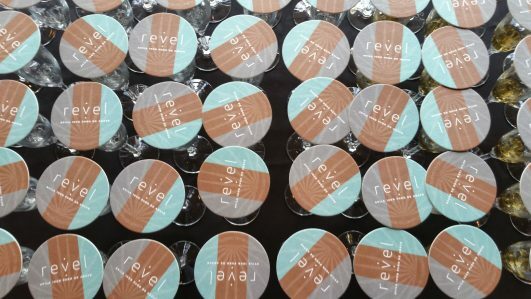 Because of its distinctive aroma and flavor, each glass was topped with a Revel Spirits coaster to prevent its diverse aromas from mingling. 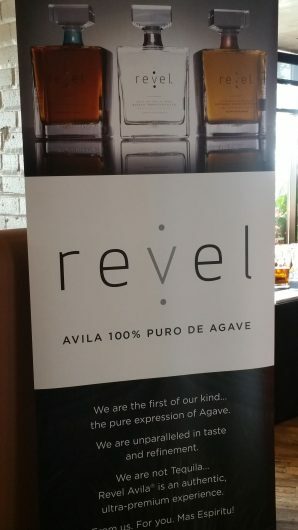 This would perhaps be the very first time any of the attendees had tasted agave spirits of any kind, let alone a unique hybrid like Revel Avila. 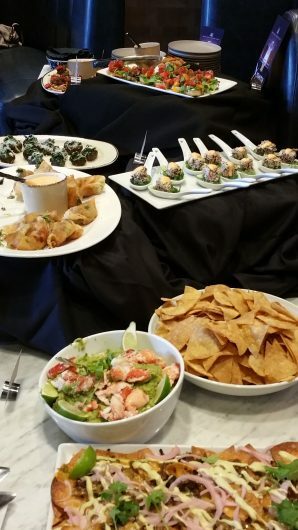 To the rear of the room, a delicious spread of finger foods and appetizers was laid out by the 6 Smith staff which included duck confit won-tons, heirloom tomato crostini, and stuffed portobello mushrooms. Each delightful side dish was designed to complement Revel’s awe inspiring expressions. After photos, live check ins on social media and online videos, we were ready to begin. Armed with a wireless mic and powerful speakers, Jacqui introduced yours truly, and we were off on a Revel Avila Spirits tasting adventure. We began with Revel Avila triple distilled blanco, the root of the entire line. Every attendee was individually served a flute of the exquisite blanco while still covered. 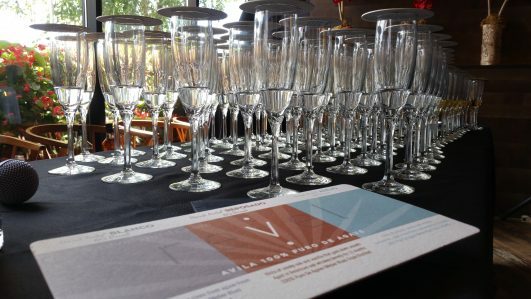 Once each glass was handed over, the Revel coaster was removed to reveal its heady fragrance. Made from blue agave, it is grown and harvested by Revel Spirits’ partner, agave grower Hector Ruiz and family. His agave groves sit at the foot of Popocatépetl volcano outside of the Denominations of Origin of both Tequila and Mezcal in the state of Morelos, Mexico. Due to the mineral rich land having only been farmed between 10 to 20 years, the region’s terroir is extremely prominent in Revel’s aroma and flavor. Revel Avila is a blend of pit roasted and autoclave steam cooked piñas, then triple distilled in large column stills. 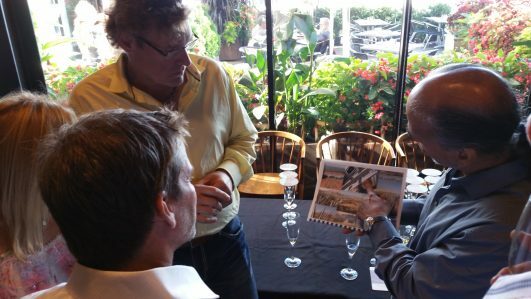 The attendees understood that what they were sniffing, swirling and sipping was a unique experience because currently, no other agave spirits from Morelos are on the market. Next, we discovered the nuances of the 12 month old Revel Avila reposado. The women in the crowd picked out hints of toasted almond, butter, and spices while the men were enamored by the oak and caramel notes added by the once used American oak bourbon whisky barrels. Lastly, the two year añejo was introduced to a rousing reception. The men in the group who had been enchanted by the reposado were wowed by the addition of the extra layers of complexity courtesy of the virgin French oak. The women were keen on the añejo’s boldness and notes of anise and sweet chocolate. As a final coups de grace, and, in an attempt at full disclosure, I revealed that unlike the previous renditions of Revel Avila that they had sampled at 80 proof, the French oak añejo was bottled at 48% ABV, or 96 proof. Surprised and awed, the entire room nodded in approval. While many tequilas are sometimes rested in barrels to mask the identity of their unaged blancos, Revel’s character remained intact. In fact, the wood only served to enhance the intricacies found throughout all of its expressions. After some parting words from Jacqui thanking those in attendance, we lingered for an hour answering more of the crowd’s questions, in-depth. Then, it was off on another 3 hour drive to Wisconsin, desperately seeking wifi signal.